Yesterday I suggested a scenario about the Skarp laser razor campaign, in which the new device disrupts the current shaving industry giants. Well, that was yesterday. Less than 24 hours after I published the piece in this blog, Kickstarter suspended (a polite word for “dumped”) the project. The people behind Skarp jumped ship immediately to Indiegogo, and seem to be doing quite well in there – gathering approximately $10,000 every hour, for the past ten hours. There have been several accusations by so-called experts and professional experts in the field of lasers and physics, regarding the feasibility of the laser razor. And yet, the suspension by Kickstarter was formally because of a very different reason: it turns out the Skarp team did not have a working prototype. Or maybe they did, but it was working so haphazardly that it could not be used for actual shaving. So what’s going on here? 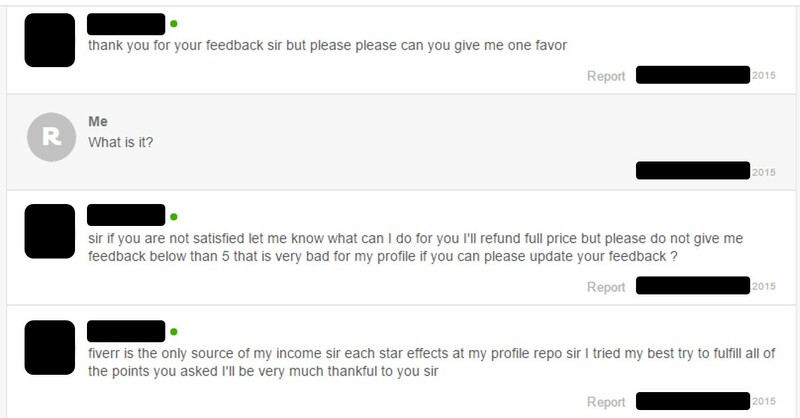 Don’t the folks at Kickstarter consult experts before they agree to take up projects that may be physically impossible? I believe they do not, and that’s generally a good thing. In order to understand why I say so, let’s first try to see what purpose Kickstarter and crowdfunding platforms as a whole serve in society. We often hear of the entrepreneur who had an amazing idea. A truly breathtaking invention formed in his mind, and he immediately proceeded to make it a reality, earning himself a few billion dollars and a vacation in the Bahamas on the way. That, at least, is the myth. Rapidly iterating a good idea until it becomes an excellent one. The Polymerase Chain Reaction (PCR) is an example for a unique recombination of existing concepts that changed the world. The PCR device is used in nearly every biological lab as part of the work needed to sequence DNA, to create new DNA strands, and genetically engineer bacteria, plants and even human cells. The technique was invented by Kary Mullis, who won the 1993 Nobel Prize in Chemistry for it, ‘simply’ by recombining existing techniques and automating them to a degree. Many other winning inventions are in fact a recombination of existing ideas. Facebook, for example, relies on the recombination of a social network, the World Wide Web, smartphones, image and video storing, hashtags, and many others. Similarly, autonomous (driverless) cars are a recombination of computers, sensors, image processing, GPS, etc. Since we’re constantly innovating, dozens (and sometimes hundreds and thousands) of new ideas are being added to the mix every year, and entrepreneurs are trying to recombine them in different and exciting ways to create new inventions. This is the first step of innovation: the frantic recombination of existing ideas by inventors from around the world. The only problem is, most of these new inventions are, well, rubbish. In his book “How to Fly a Horse”, Kevin Ashton (the inventor who gave the Internet of Things its name) details what happens to newly patented inventions in at least one firm – Davison Design. For the past 23 years, Davison mainly took money from customers to register their patents. Overall, its revenues equaled $45 million a year, with an average of 11,000 people signing with the company. How many people actually made any money from their patents and inventions? Altogether, only 27 people have seen any money out of their patents. The statistics, in short, are grim for any inventor. You may think the market is eager to use your new idea, but you can never tell for certain until the product is actually on the market. In fact, Shinkhar Ghosh from Harvard Business School has discovered that, “About three-quarters of venture-backed firms in the U.S. don’t return investors’ capital”. So nobody knows which idea is going to be any good: not even the big venture capitalists who invest millions of dollars in those ideas. This is where the second part of innovation comes in: we have to winnow the good ideas from the bad ones. In the past, this function was only performed by government grants and investors. Distinguished committees would go over hundreds and thousands of idea submissions, and select the ones that seemed to have the best chance for success. Unfortunately, such committees are hard-pressed to support all the applicants, and as a result, 98-99% of ideas are refused funding. Consider, on the other hand, Kickstarter and other crowdfunding platforms. In Kickstarter alone, 43% of campaigns reach their goals and obtain the money they needed to make their vision a reality. In a way, crowdfunding allows inventors to test their ideas: does the public want this new invention? Is it any good? Are people willing to pay for it… even before the factories have received the million dollar contract to manufacture all the parts? In that way, crowdfunding platforms enable innovation by streamlining the second step: distinguishing the good ideas from the bad ones. And once a good idea has been found and supported – whether it’s an ice chest with a USB charger, or a pillow that covers the user’s head completely – the inventor keeps upgrading and changing the product so that it becomes better with each iteration. This is the reason that iPhone 6S is so much better than the original iPhone. Innovation is the steppingstone on which our modern day society is built. Innovation leads to increased productivity, and as Paul Krugman says – “Productivity isn’t everything, but in the long run it is almost everything.” Innovative new companies are responsible for the majority of new jobs in the United States, and innovative ‘crazy’ ideas – the kind only few dared to support when they were originally proposed, like Airbnb or Google – have led to wholesale changes in the way society behaves. Today’s new Google or Airbnb would not have had to look for elite investors: they could’ve went to the crowdfunding platforms to ask for assistance, and their chances would’ve been much higher to receive funding, at least in principle. That is why Kickstarter is so important for innovation and for modern society: it allows the public to support many more innovators than ever before. And while quite a few of them are going to fail (probably most of them), the ones who make the big breakthroughs are going to change society. At the very least, even the fluked campaigns show the rest of us the value of some ideas. Overall, crowdfunding platforms move society forward. Well, here’s a newsflash: when it comes to innovation, you can’t always rely on the experts. In short, experts can be wrong, too, even in matters as rigid as the laws of nature and the ways we can manipulate them. And it is so much easier to get social developments and innovations wrong, since there is no perfect model of the human mind or of society. And thus, no expert would’ve forecast with certainty that people will upload their photos so that millions can see them (Facebook, Flickr, Instagram), or share their houses (Airbnb) and cars (Uber) with total strangers. And yet, these innovative start-ups made it into existence, and changed the world. That does not mean, of course, that the public should support every wily promise on Kickstarter. In fact, I think Kickstarter did a good thing when they removed the Skarp project because the inventors had no fully working prototype. In the end, crowdfunding platforms need to balance between the desire to protect their users from scams, and the fact that it’s very difficult to distinguish between scams and some extremely innovative ideas. At least in this case, it seems Kickstarter decided to err on the side of caution. While many are asking whether the Skarp laser razor is a scam, it’s the wrong question. The real question is what purpose Kickstarter and other crowdfunding platforms should have in our modern society, and the honest answer is probably that the users of these platforms have a better chance of seeing their money dissipating into thin air – but altogether that’s a good thing, since more innovators overall get supported – and the few who succeed, change the world. So go ahead: support Skarp on Indiegogo, or any other crazy idea on Kickstarter, Tilt and the other crowdfunding platforms out there. Buy that new (barely functioning) 3D-printer, the shiniest (and fragile) aerial drone, or that dream-reader that doesn’t really work. Go ahead – now you have the justification for it: you’re promoting innovation in society. Or in other words – bring on the scams! Shaving is one of the great hardships of my life (and I guess I should consider myself lucky that this is one of my top worries). Up until recent years there have only been two giants in the shaving market: Schick and Gillette. Both are engineering their razor blades with space-age technology, promising you a blade that looks and feels as if it were found floating in space, shining magnificently in the Sun’s bright rays. And it stings. Oh, how it stings my skin. I would think that the burning clothes would be of the least concern to the guy carrying fire in his lap (please don’t do that), but the point is clear. You play with fire, you get burned. You play with razors, you get cut. Well, then, why don’t we change the paradigm of using a razor blade for shaving? That’s exactly the idea behind the Skarp Razor project, which has recently surged to new heights on everybody’s favorite crowdfunding platform: Kickstarter. The basic idea is pretty simple. Instead of blades, the Skarp ‘razor’ is utilizing a small laser beam with a wavelength that was selected specifically to cut human hairs. It does not cut or burn the skin, needs no shaving foam, and only requires one AAA battery every month. Those, at least, are the promises on the campaign site. The Skarp Laser Razor – a virtual demonstration, from the Kickstarter campaign site. The inventor behind the new blade, Morgan Gustavsson, has worked in the medical & cosmetic laser industry for three decades, and invented and patented the most common method for hair removal using laser in cosmetic beauty salons. Now he’s perfected and miniaturized the technology (again, according to the campaign’s claims which should be taken with a grain of salt) to bring it to everyone’s households. If the Skarp Razor actually delivers on the promises made, the consequences would be used, and would essentially disrupt the stagnated shaving industry. Schick and Gillette have both competed under a very limited paradigm: shaving is to be done with blades only. Their entire business model revolves around the sale of high-priced blades. How can they handle a competitor that sells only one razor that should last for nearly a lifetime of shaving? Short answer: they can’t, at least not under their current business model. Unless they find a new breakthrough technology of their own, their business model will be disrupted within a year, and they may well find themselves on the ropes in five years or less. This may be yet another Kodak Moment: a huge industry giant in its field, which gets disrupted following an innovation that reaches to the masses (digital cameras in smartphones), and declares bankruptcy five years later. This principle is particularly relevant in the case of Schick and Gillette. The two giants have not faced any real competition except for each other for a long time now, and were thus unwilling to change their basic operating paradigms. They innovated, decorated and re-innovated their blades, but they did not find new ideas and concepts to re-think the process of shaving. Now, when the laser blade makes an appearance, they will need to frantically look for new answers for the threat. Of course, nobody can forecast the future accurately, and the new laser shaving technology defies any attempt at foresight right now because we don’t know how it works exactly. Furthermore, the initial product that will be delivered to consumers next year is bound to be in a preliminary state: primitive and rough, and almost certainly disappointing for the wide public. The Skarp 2.0 will be infinitely better and more suitable for the needs and wishes of the consumers – but only if the company survives the first disappointment. We can’t know yet whether the Skarp Razor is about to disrupt the shaving industry, especially since at the moment it’s no more than a promise on a crowdfunding site. However, if the invention does have merit and proves itself over the next year, the shaving industry giants will find themselves in a race against a new technology that they were not prepared for. I, for one, welcome such competition that will lower the prices of blades, and force the old guard to re-innovate and rethink their existing products and business models. I don’t envy the people at Gillette and Schick, though, for whom the next decade is going to be a hair-raising rollercoaster. 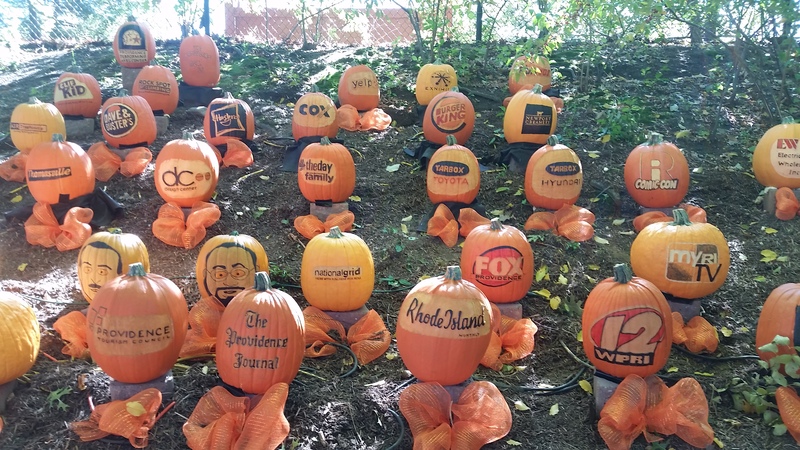 While visiting the Roger Williams Park Zoo in Rhode Island, I happened to take this photo of genetically modified pumpkins displaying a wide range of advertising materials, apparently for the corporate sponsors of zoo activities. A Genetically Engineered Pumpkin Advertisement, from the Roger Williams Park Zoo in Rhode Island. Well, obviously the pumpkins aren’t actually genetically modified – they were just painted or sculpted by human artists – but in the rate genetic engineering is progressing, it’s quite possible that in a few decades we will have genetically modified fruits and vegetables that actually display readable advertisement on them as they grow up. I decided to take this chance and consider innovative ways in which future GMOs (Genetically Modified Organisms) could be used to promote and advertise products, ideas and corporates. In order to do that I utilized a fascinating systemic thinking system for innovation around which an entire consulting company called SIT (Systematic Inventive Thinking) was founded. If you’re like most human beings, you probably freeze in complete bewilderment, unsure where to begin or to end, and what you should actually talk about. You’re lost in the chaos of your own mind, sinking below the waves of many thoughts and impulses: should you tell her about your trip to India? Or maybe about your ambitions for the future? Or maybe she really wants to hear about your bar-mitzvah? Such exercises rarely lead to good results. At best, the participants fall back on whatever ideas they’ve read or thought about before, and almost no new or innovative notions are being produced at those meetings. Now consider the alternative dating scene: your date asks you a very simple question – “What did you eat this morning?” In this case, the answer is clear. You have a starting point that is safe and sound, and while admittedly it is not very interesting, the conversation and the jokes can start flowing from that point onwards. It works the same way with creativity: by putting constraints on your thinking process in a systematic fashion, you’re actually capable of analyzing the situation in an orderly way, and develop each innovative case fully at a time. The SIT method places constraints over the innovation process by forcing the thinkers to consider innovative changes to the current product in only five different directions: subtraction, multiplication, division, task unification, and attribute dependency. Let’s go over each one to think up innovative ways GE plants could be used for advertisement. Subtraction means that instead of our natural tendency to add features to an existing product, we remove existing features, particularly the kind that seem vital and necessary. By applying the multiplication thinking tool, we multiply – add more copies of – certain existing components of the product, but then alter them in a significant way. Gillette’s double-bladed razor is a well-known example: they added an extra blade, and then found a different use for it on the other side of the razor. How about, then, that we engineer the fruit to contain more seeds – but ones that are actually viable, and grow into some interesting and different kinds of fruit? The fruit’s manufacturer could bring the fruit to market as a tool for teaching children about the natural world, and even create a competition to find that “one golden seed” hiding in every one fruit out of a hundred, and out of which a truly extraordinary fruit will grow. The division tool makes us divide the product into its separate components – and then recombine them in some new way. In the case of genetically modified fruit, we can roughly separate the ‘product’ into seeds, edible flesh, skin and a stem. How can we mix the three to make the final product more valuable for advertisers? Here’s an idea: make the seeds grow on the surface of the fruit, but make them as small as speckles, adding a shine to the fruit. Or maybe make the stem go through the entire fruit, like a skewer, and promote the fruit as one that can be easily roasted over a grill. Which two tasks can be unified into a single component of the fruit? This one is easy: make the stem tasty, so that it can be eaten as a snack next to the fleshy fruit. One can also imagine fruits that contain therapeutic materials, so that eating them serves a double purpose: get thin, and get healthy. The components and attributes of every product depend, in part, on its environment. Shoes for girls, for example, often come in pink (attribute: color). Watermelons are often sold in summertime, which is another relation between an attribute (time of sale) and the product. Using this thinking tool, we can really go wild. If we only focus on color as an attribute, we can engineer fruit that changes its color visibly when it’s infected by certain bacteria, or that its color can tell when the fruit was picked up from the field, assuring the consumer that they’re getting fresh produce. And this is just the beginning, since we can also play with the smell, touch, and even weight and size of the fruit. So many opportunities here! You may or may not like the ideas I gave for genetic engineering of plants. Regardless, this post was primarily an exercise in innovative thinking meant to provide a sneak peek at a wonderful methodology for innovation. You are warmly invited to suggest more ideas for genetic engineering of plants in the comments section, using the SIT methodology as a guide. And of course, you can use the principles of the SIT Methodology to innovate your own ideas for a product, service or company. I’m sure you’ll make good use of the methodology, and will discover that innovating under constraints is as useful as it is fun.